In 1996, there was a franchise that was developed in Japan that ended up sweeping across the globe and capturing many children’s attention. This franchise was Pokémon. It was so successful that many adults that played this video game in their childhood still continue to immerse themselves in the game today. Some may argue that its popularity has faded over the years because it reuses the same basic outline and concepts in its series. However, there is more to this game than just the role playing story the player immerses themselves in. The many aspects of this game go beyond the basic exterior and have been developed to appeal to players of varying degrees of skill, both casual and competitive alike. Due to its appeal to a variety of audiences, it’s been able to sustain its success to this present day. The name Pokémon originated from the contraction of two words, Pocket Monsters. The first set of video games in the series was released on February 27, 1996 in Japan for the Game Boy. They were developed by GameFreak, a company separate from Nintendo, however Nintendo owns the rights to the series. The role playing game was called “Pokémon Red” and it was released alongside its counterpart, “Pokémon Green”. The games were released in North America on September 28th, 1998 as “Pokémon Red & Blue.” However, the release of these games was different as they took the Japanese Red & Green version and merged it with the third version, “Pokémon Blue.” The games were always released in pairs; they would include the same storyline with minor changes in the availability of the Pokémon you can catch in each version. Due to this, you could only fulfill the goal of “catching them all” by playing through both versions of the game in order to encounter all the Pokémon. On October 10, 1999, “Pokémon Blue” was released in Japan. It was a revision of the Red & Blue games and was an improvement in graphics, sound and fixed known glitches in the previous games. On October 18, 1999, “Pokémon Yellow” was released in North America. This was based around the anime and featured the main character venturing through Kanto with his starter Pokémon, Pikachu. With all these various releases of the games it may seem like the franchise was well off, however that wasn’t always the case. The development of the Pokémon games encountered many setbacks and delays. Tsunekazu Ishihara (CEO of the Pokémon Company & creator of Pokémon) started the planning and development in 1990 and only released the games 6 years later. At the time they were developing the games the Game Boy had just been released in 1989, however at the end of Pokémon’s developmental period, they had already felt that the shelf life of the Game Boy was already up. On top of that, they released the games in February, one of the worst times of year for game sales. According to an interview from Satoru Iwata, the president and CEO of Nintendo, he states that “During Pokémon’s extended development period, I tried to stay abreast of what you (Ishihara) were doing as much as possible. Then when Red and Green were released, it was such a quiet, understated start that it was impossible to imagine the way they would go on to explode in popularity.” (Nintendo) He discusses how Pokémon’s popularity caught even their developers off guard after seeing their sales upon release. Iwata also states, “I recall that the initial number of units to be shipped was smaller than I’d expected” (Nintendo) as he also had high hopes they would sell out in shops and run the stock dry. Unfortunately, this wasn’t the case. So why did the popularity of the game suddenly spike? According to Tsunekazu Ishihara, the CEO of The Pokémon Company, “By the time it ranked number one in weekly sales, more than a year and a half had gone by since the game was first released.” (Nintendo) He attributed this sudden success to the media; one huge contribution coming from a magazine called “CoroCoro”. “CoroCoro” is still around and it’s a monthly magazine which features manga strips as well as video-game articles. They published articles about Pokémon and it quickly picked up popularity among younger audiences and teens. One of the specific features in Pokémon that caused it to gain popularity was the addition of Mew. They programmed Mew into the game in order to take up the last few bits of space and left it in there as a prank, unless there was a good opportunity to reveal it. It was never supposed to appear within the game however, “because of an unforeseen bug, Mew ended up appearing in some players games and that’s how the “Legendary Pokémon Offer” came about.” (Morimoto, Nintendo) This offer was written about in an article in “CoroCoro” and it gave 20 players the opportunity to get this exclusive Pokémon within their game. From this point on the weekly sales increased to that of the monthly sales and soon after quadrupled. The outline of the plot in “Pokémon Red”, Green and Blue starts off as you playing as the main character, a ten year old boy from Pallet Town. Shortly after, you receive your first Pokémon and embark on a journey to try and defeat all 8 gym leaders scattered around the region called Kanto. However, along the way you’re challenged by your rival as well as the set of villains in the story called Team Rocket. Their goal is to exploit Pokémon and it becomes part of your mission to prevent them from doing so. As the trainers and gym leaders get increasingly more challenging, you find yourself getting closer to the Elite 4 (Indigo League) and challenging the Champion. It also becomes a side quest and goal for you to catch all of the 151 Pokémon and complete your Pokedex along the way. However, this goal is nearly impossible to achieve on your own, you had to find other players to trade with in order to get the version exclusive Pokémon unobtainable in your game. This definitely encouraged consumerism as it would force players to buy both copies of the game. It did also serve another purpose; it encouraged interaction between players as they would have the ability to trade for the exclusive Pokémon within each game. According to “Pikachu’s Global Adventure” by Joseph Tobin, “children are encouraged to gather and exchange information, making the game world something like a language that promotes communication.” (p42) It continues to give children and adults alike a common interest and trading Pokémon was a benefit to both parties. This type of communication between players also helped promote the games. For instance, if one person needed a Pokémon from the opposite game their playing, they may encourage their friends and peers to buy the games. Being that this game was popular primarily around children, it encouraged them to interact with one another within the game and propose trades that would push both players a step closer to completing their Pokedex. On November 21, 1999, the next set of Pokémon games called “Pokémon Gold & Silver,” were released in Japan and almost a year later they were released in North America on October 15, 2000. By this time, the hype around Pokémon seemed to be at its peak. In Japan it sold a little over five million copies its first year and totaled twenty-three million copies as of November 2014. (vgchartz) The formula of the story was similar to the first set of games except it takes place in a new region called Johto. 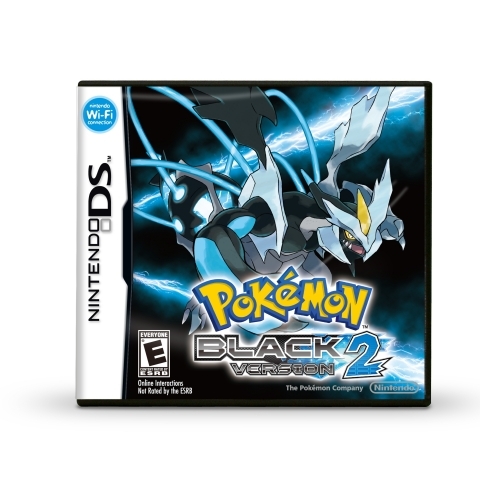 This opens up a new variety of Pokémon to catch and a new storyline filled with characters. The main character is still male and follows along the same journey of defeating 8 gyms around the region. You’re confronted with a new rival who challenges you as you progress further in the story; however you are met with the familiar faces of Team Rocket as the villains. Once clearing the Elite 4 and beating the Champion, this game offers a ton of post-game content to keep you entertained. This content may seem familiar as you get the chance to explore the Kanto region and beat the gyms across that region. By the time 2002 came around, the third set of Pokémon games called “Pokémon Ruby & Sapphire” had been released in Japan in November. For the rest of the countries, they were released in March, April and July of the following year. The sales on Ruby & Sapphire weren’t as high as they had been for the previous games. In fact, the largest country of sales for the first time was North America, having sold a little over six million copies as of November 2014. (vgchartz) Japan was not too far behind in sales selling about five million copies and as a whole there were 15.85 million copies sold globally. At this point it seemed as if the hype around the Pokémon games was dying down. The story line was the first to introduce the ability to play as a female character, finally acknowledging the game as one that appeals to both genders. It introduced a new Pokedex of Pokémon, and different villains of the story. Team Magma would be present in the Ruby version of the game, whereas Team Aqua was present in Sapphire. They also introduced small side quests such as Pokémon Contests, Secret Bases, and a new form of battling called Double Battles. These battles let you send out two Pokémon versus the opponents two Pokémon instead of the traditional single battles that were prominent in the games. Despite these small additions to the game, the foundation of the story was the same. You battled the gyms and made it your goal to beat the Champion in the Elite 4. 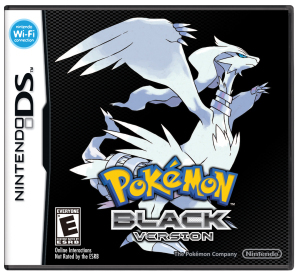 The franchise reached a breakthrough in 2006 and 2007 when the release of “Pokémon Diamond and Pearl” featured Wi-Fi capabilities. To give a perspective in terms of sales, “it exceeded its predecessors Ruby and Sapphire by one million copies, and Fire Red and Leaf Green by three million copies.” (vgchartz) Its success was largely contributed by the online capabilities as opposed to the storyline of the game. This meant that players were no longer confined to local wired connections with their friends. It presented the ability for players to trade and battle others from anywhere around the world. While the single player storyline may have gotten redundant for some players, the internet capabilities of the games gave players more of a challenge. They could search for and battle anyone at anytime from anywhere in the world. This is the spark that ignited a world beyond casual play and drew many players back into the game. The experience of putting your trained Pokémon up against another player in real time provided a new aspect to the game. It pulled in a mature audience that viewed this as a turn based strategy game similar to that of chess. Each Pokémon is present with a single or double typing, four different attacks, weaknesses and resistances, and that is only a small fraction of the components that one piece plays. Put together six of these on a team and you’ve got many different pieces that each perform a different role on your side of the field. This is very similar to that of chess where rooks, pawns, knights and bishops are a few of the pieces the player moves around. Each piece plays a different role in chess and moves in a way that’s unique to the piece. In Pokémon, the six different members of a team perform their roles similarly. The goals of each game are different yet similar, when you’re able to knock out all six Pokémon of the opposing team, then you win that battle. On the surface it seems like a simple concept however, there are many factors that determine the usefulness and advantages a Pokémon has. Most Pokémon go through many stages of evolution, each one boosting their power or ability and making it stronger. Some Pokémon can go through one stage of evolution where as others can go through multiple ones. Each stage of evolution increases the Base Stat Total (BST) of a Pokémon. The BST varies from each species of Pokémon as well as their forms and evolutions. Pokémon who have evolved into their final forms usually have base stats that are higher than those that are in their basic forms. The only exception to this is the Legendary Pokémon in each game. These are rare, hard to find and catch Pokémon which usually have exceptionally high base stats. While each BST varies between different species of Pokémon, the stats individually account for a majority of the usefulness of a Pokémon on a team. The stats are divided between Hit Points (HP), Attack, Defense, Special Attack, Special Defense, and Speed. If a Pokémon has a high Attack and high Speed, its role is hyper offensive, meant to get the most damage in as fast as possible. 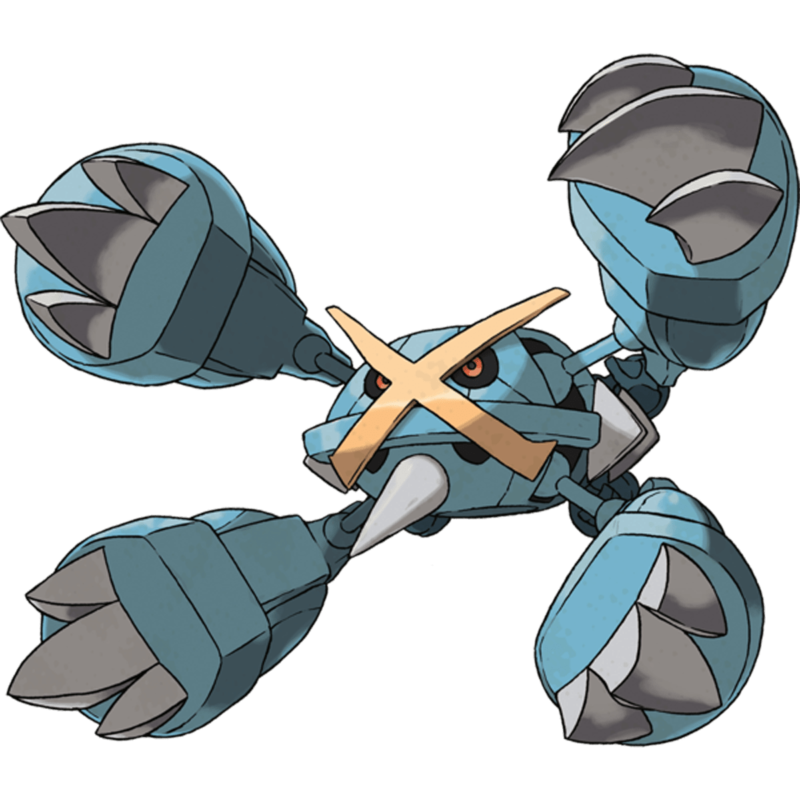 If the Pokémon has high HP and high Defense then its role would be a Tank, meant to take hits and wear down the team by other means such as repeated attacks or stall. They are also sometimes equipped with the ability to Recover HP and provide support to the team. Some Pokémon find themselves having a consistent BST for every stat, these Pokémon have the ability to be utilized in many different ways whether it’s defensive, offensive or a mixture of both. While base stats play a very important role in the utility of a Pokémon, factors such as typing also play a very important role. There are 18 different Pokémon types and sometimes a single Pokémon can be two types. The most basic types are Water, Grass, and Fire and each has their advantages and disadvantages against the other. Water is weak to Grass and strong against Fire, Grass is weak to Fire and strong against Water and lastly Fire is strong against Grass and weak to Water. It’s important to get a good variety of types on a team to try and cover up weaknesses as well as give yourself advantages by being able to counter multiple Pokémon types. Attacks that are super effective deal double the damage and attacks that are resisted cut the damage in half, so being able to cover up weaknesses is essential. Attacks only carry single typing and the effectiveness of an attack is determined in the defending Pokémon’s type. These are only the few basic types and you can begin to see how the game becomes a bit more complex when dual typing is introduced on a Pokémon. 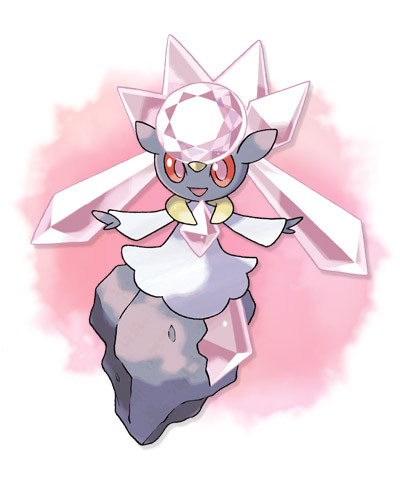 It offers more resistances and weaknesses however, some Pokémon types become unfavorable when mixed together such as a Pokémon typed with Rock and Ice. It becomes four times weak to attacks typed as Fighting, and Steel and two times weak to Ground, Rock, Water and Grass type attacks. A Pokémon’s BST can be exceptional, but if it carries many weaknesses against common move types then that lowers its utility in the game. Base stats and Pokémon types are two factors that play a role in competitive play. Two more huge aspects of the game are called Effort Values (EVs) and Individual Values (IVs). Both of these determine the rate at which a base stat grows. When deciding to train a Pokémon based on its utility on a team, you have the option of investing EVs into the stats you want it to excel in. The IVs are a randomized value between 0-31 that adds up to 31 stat points in each specific stat when the Pokémon is at its maximum level of 100. At level 100 the stats of a Pokémon are maxed out and their value is determined by a combination of EVs invested in it, the IV number it’s assigned per stat, and the nature of the Pokémon. A Pokémon’s nature helps one stat grow at a faster rate than the others meanwhile hindering another stat. For instance if you’re training a Pokémon to be a fast Special Attacker, you would want a Timid nature which increases the rate that the Speed stat grows at and decreases the rate at which the Attack stat grows at. Since you’re a Special Attacker you won’t need the Physical Attack stat and decreasing it won’t hinder your Pokémon’s utility. When determining the role a Pokémon will serve on your team there are additional moves that will help fulfill its role. Offensive physical and special Attackers have moves that can boost their Attack stat anywhere from 50%-100%. If the Pokémon has a supportive role there are status conditions it can induce that slow the other team down, or set up moves such as Spikes and Stealth Rock that will gradually wear the Pokémon down as it switches in. Status conditions such as paralysis cut the Speed of the Pokémon by 75% with a 25% chance of losing a turn to paralysis. A condition such as Burn will halve the Physical Attack of any Pokémon as well as gradually take residual damage. Confusion has a 50% chance for the Pokémon to hit itself and lose its ability to attack for the turn and lastly, the poison status induces damage that gradually builds up on Pokémon that stay on the field longer. After discussing many of the factors that play into the utility of a Pokémon it puts into perspective how competitive the creators of this game developed it to be. They intended for this game to appeal to both young and older audiences alike. Many of the individuals who played the Pokémon games as children still find themselves playing the game ten years later, but in a more advanced aspect of the game that goes beyond the story. Due to this the developers continue to bring in a new young audience with every game while still maintaining interest in the mature audience when they add in new Pokémon to each game. Every game has a new aspect to it that reflects interest in both audiences. The most recent games, “Pokémon X & Y”, were released worldwide for the first time on October 12, 2013. 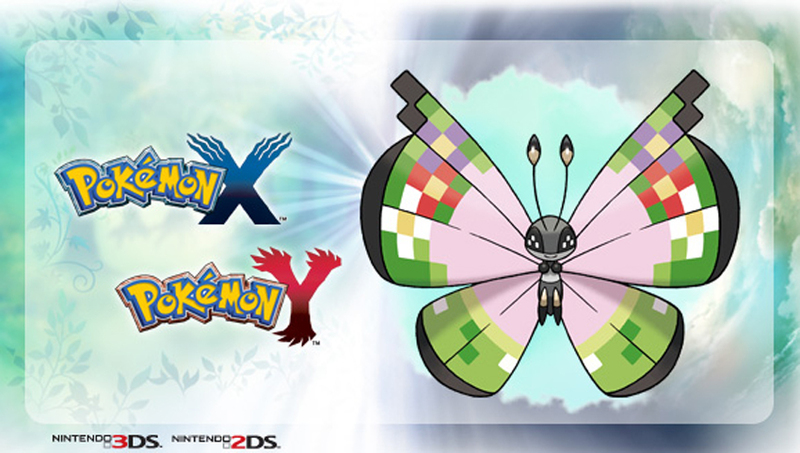 They’ve introduced a new Pokémon type called Fairy, as well as a new method of evolving called Mega Evolution. This revolutionized the game for the casual player and the competitive player as it introduced new forms and abilities to Pokémon. When a Pokémon is in its final stage of evolution a selection of Pokémon were granted the ability to go beyond that stage and empower themselves. This is known as Mega Evolving and the concept interested both new and old players alike. “Pokémon X & Y” sold ten million copies globally its first year alone. (vgchartz) Despite their success slowing down after Gold and Silver, the developers have found ways to include new aspects into the game that manage to attract both casual and competitive audiences into the game. The newest release of the Pokémon video game franchise was “Omega Ruby & Alpha Sapphire.” These games were remakes of the “Pokémon Ruby & Sapphire” games that were released back in 2002. They hit the market on November 21, 2014 in most countries that weren’t in Europe. Its sales that weekend exceeded three million (NintendoNews), which is a fantastic outcome for a game with an old storyline with some added features. 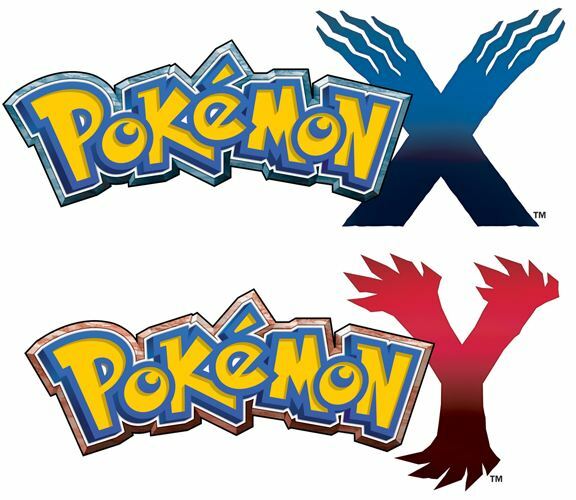 A week later on November 28, 2014 the game was officially released in the UK and their sales exceeded “Pokémon X & Y” sales by 17% (chart-track). It was considered the biggest Pokémon launch ever in the UK. Most of this was probably contributed to the newly added features of Mega Pokémon and Primal Groudon and Kyogre that added to the hype around the game. With the most recent success in sales of the games, there’s no doubt that the Pokémon hype isn’t dying down anytime soon. Pokémon is a franchise that became a global phenomenon and attracted many people over the years into playing the series. Despite the story of the games having the same plot outline with small changes between each game, it managed to stay relevant for all these years. Its decline happened around the release of their third set of games in the series; however with the advancements in technology they were able to pull in more audience with the availability of online battling and trading. This marked the start of the competitive battling community which helped the older audience continue to stay interested in the franchise. The role playing story of this game will continue to interest younger audiences meanwhile the turn based strategy aspect of it will continue to appeal to the more advanced players. For more information on Pokemon and the author of this piece, check out her work on YouTube.